Disney has unveiled a seven-strong plinth of brand partners for this month's release of the latest live action adaptation of its animated films, Beauty and the Beast. The studio is working with Unilever’s Persil, Procter & Gamble’s Olay, Sony Mobile, Comparethemarket.com, HomeAway, estate agent Hamptons International and Latest In Beauty ahead of the release of the film, which stars Emma Watson as Belle, on 17 March. Sony Mobile will offer anyone who buys an Xperia smartphone on O2 in March a six-month subscription to streaming service DisneyLife. It is also promoting the campaign across out of home, digital, press, social and point of sale in O2 stores. Persil is selling 1.9 million promotional packs that include a £5 Disney store voucher, supported by out of home, digital, social, mobile and point of sale campaigns. Olay is giving away an "enchanted holiday" to New York, and supporting the competition with digital, press and in-store display. Comparethemarket.com is launching a campaign on 10 March to promote its Meerkat Movies 2-4-1 cinema initiative. HomeAway is giving away a five-night stay for a group of 20 people in the 14th century Duns Castle in Scotland by inviting social media users to "#BeOurGuest". Hamptons International has launched a campaign in print and digital inviting consumers to "find your happily ever after". 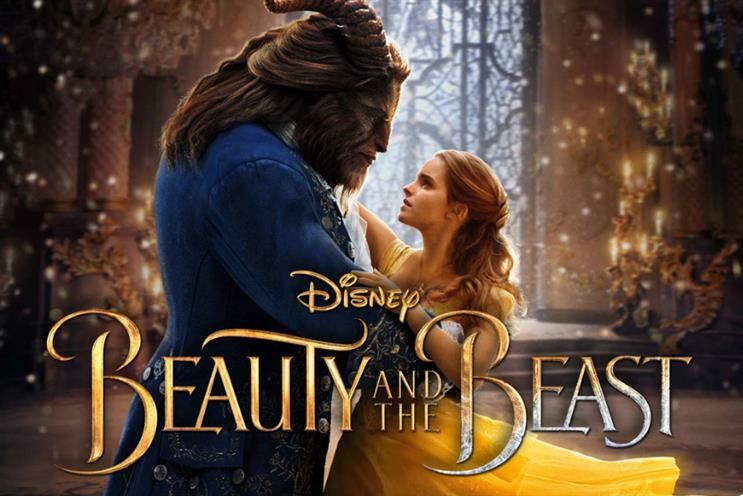 Latest in Beauty has curated The Beauty Box and The Beast Box, two sets of beauty and grooming products for women and men respectively that are themed around the film and designed to resemble books. Anna Hill, chief marketing officer at The Walt Disney Company UK & Ireland, said: "The fact that we’ve attracted such a diverse range of well-known brands for the Beauty and the Beast release really is testament to the strength of the storytelling and the characters in this fantastic tale. "The new live action adaptation will bring different generations together and we are aiming to reach these audiences through our innovative collaborations with our brand partners."